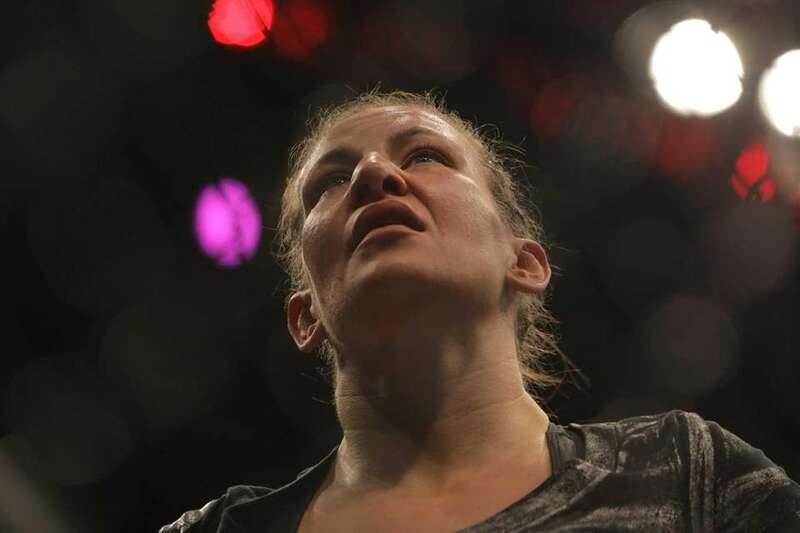 Miesha Tate lost to Raquel Pennington by unanimous decision on the main card at UFC 205 on Saturday at Madison Square Garden. Tate announced her retirement after the fight. 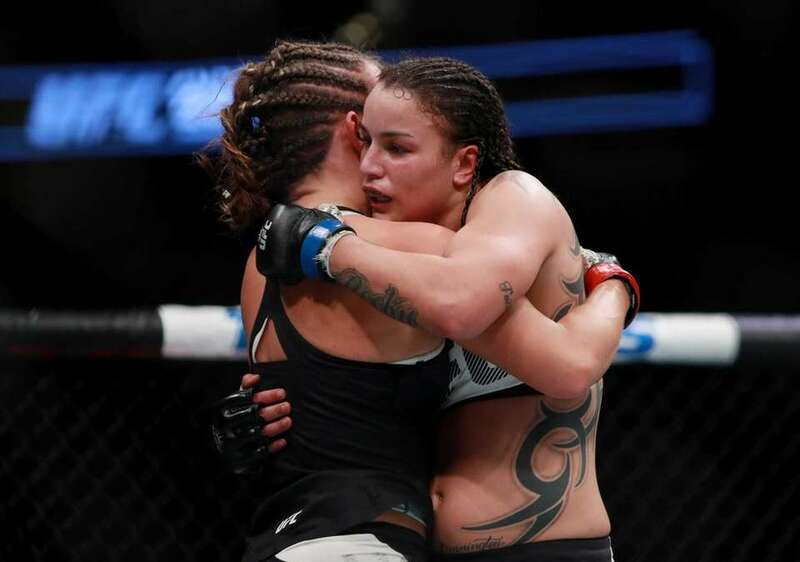 Women's bantamweight Raquel Pennington defeated Miesha Tate in a unanimous decision at UFC 205 at Madison Square Garden on Nov. 12, 2016. 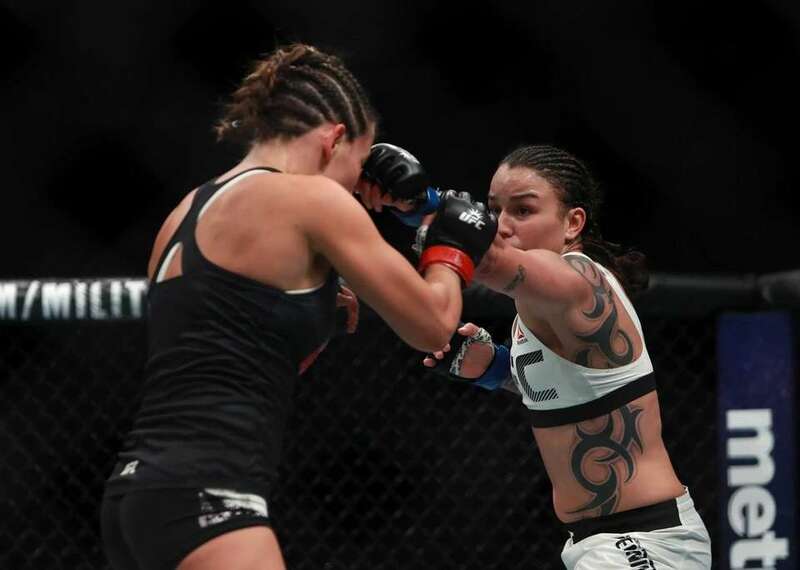 Miesha Tate of the United States (left) fights against Raquel Pennington of the United States in their women's bantamweight bout during the UFC 205 event at Madison Square Garden on Nov. 12, 2016. 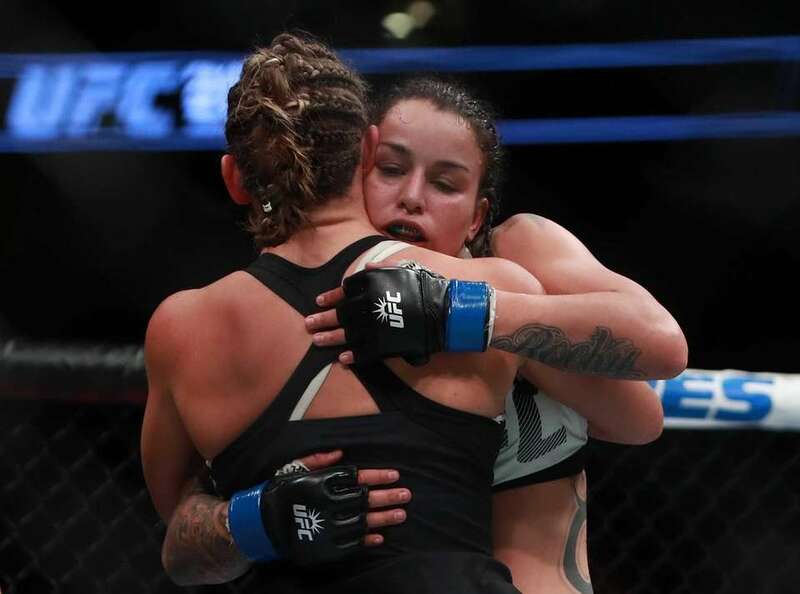 Miesha Tate of the United States (left) embraces Raquel Pennington of the United States after her unanimous decision defeat in their women's bantamweight bout during the UFC 205 event at Madison Square Garden on Nov. 12, 2016. 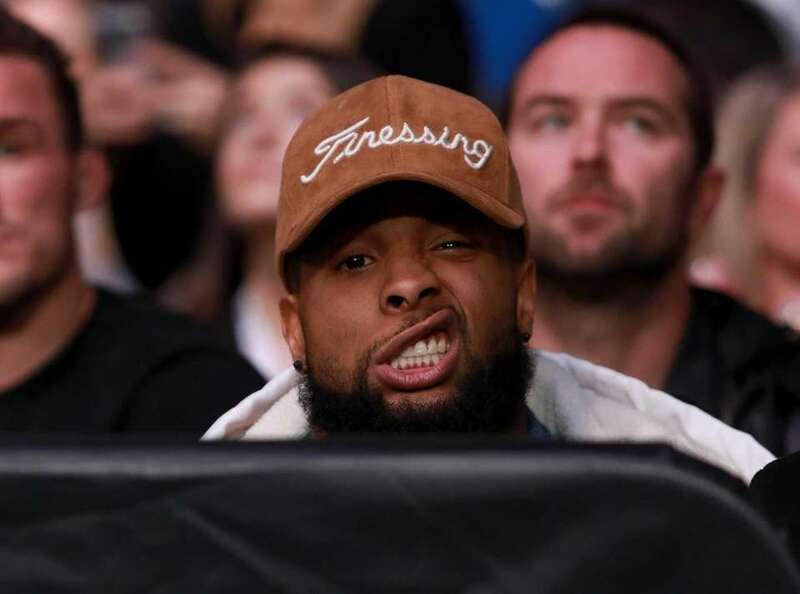 New York Giants Receiver Odell Beckham Jr watches the women's bantamweight bout between Raquel Pennington of the United States and Miesha Tate of the United States during the UFC 205 event at Madison Square Garden on Nov. 12, 2016. 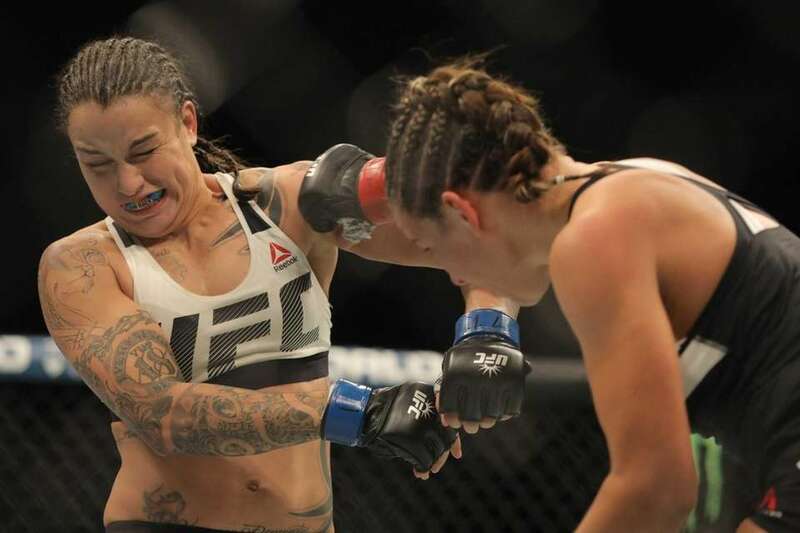 Raquel Pennington, right, grabs at Miesha Tate during a women's bantamweight mixed martial arts bout at UFC 205, Saturday, Nov. 12, 2016, at Madison Square Garden. 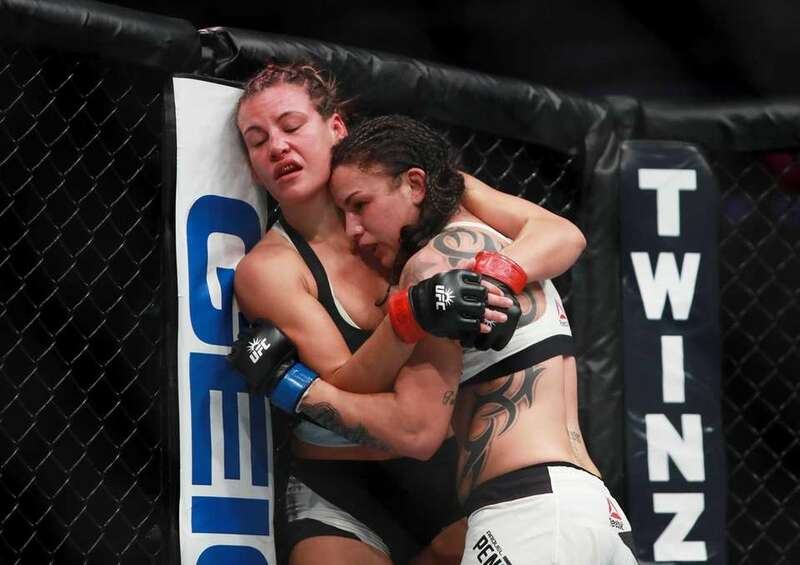 Miesha Tate, back, is brought down by Raquel Pennington during a women's bantamweight mixed martial arts bout at UFC 205, Saturday, Nov. 12, 2016, at Madison Square Garden.